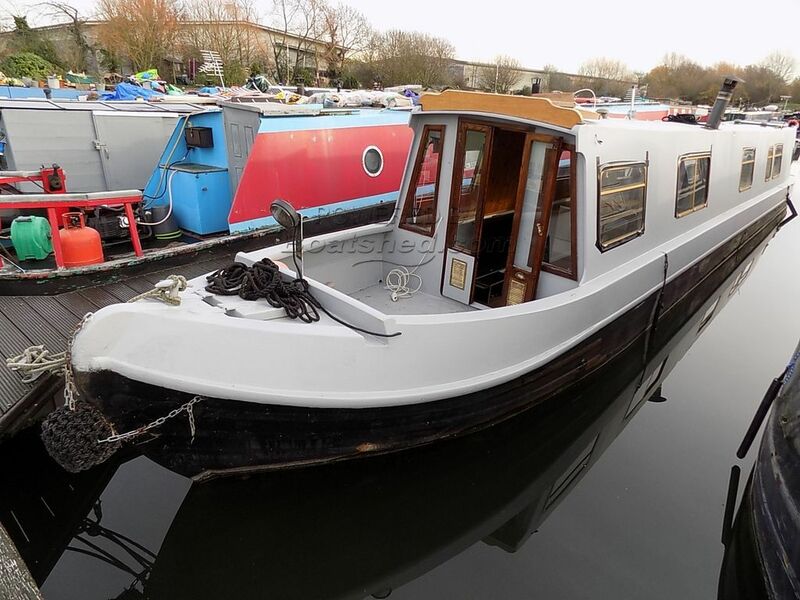 Boatshed Grand Union is very pleased to offer this recently re-fitted trad-stern narrowboat. The large windows and open-plan saloon and galley give this boat a feeling of spaciousness. The shower room opens across the width of the boat that avoids the cramped space often associated with canal boats. The cabin further aft is fitted with a fixed double and adequate storage beneath. Beyond the cabin is a utility room covering the engine beneath the companionway steps. At the bow there is a large cratch providing adequate space for seating. A removable frame and cover are also included. This Narrowboat 50ft Trad Stern has been personally photographed and viewed by Richard Thompson of Boatshed Grand Union. Click here for contact details.